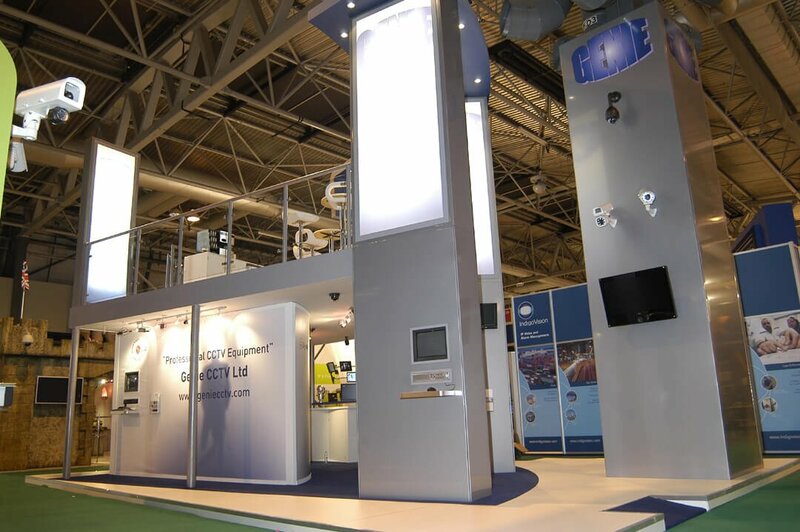 Genie CCTV have undergone significant year on year growth since they began and wanted a stand that reflected that ambition and confidence. 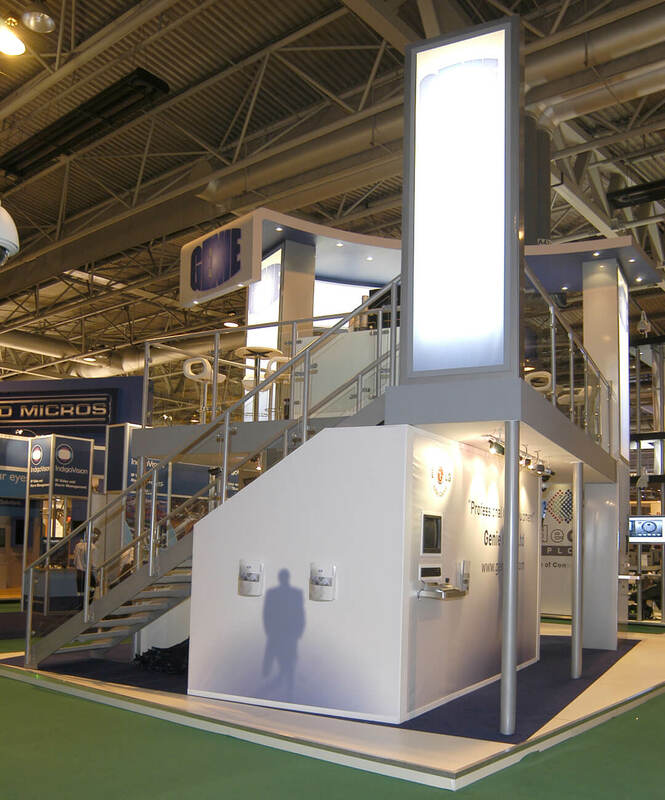 For IFSEC they requested that Full Circle deliver a double decked stand to reflect their emerging status within the security sector. Genie wanted an elegant stand with clean lines and a differentiation between ‘live’ product and information display – to all approaches at ground level – and an exclusive discussion and refreshment area for VIP’s on the upper floor. 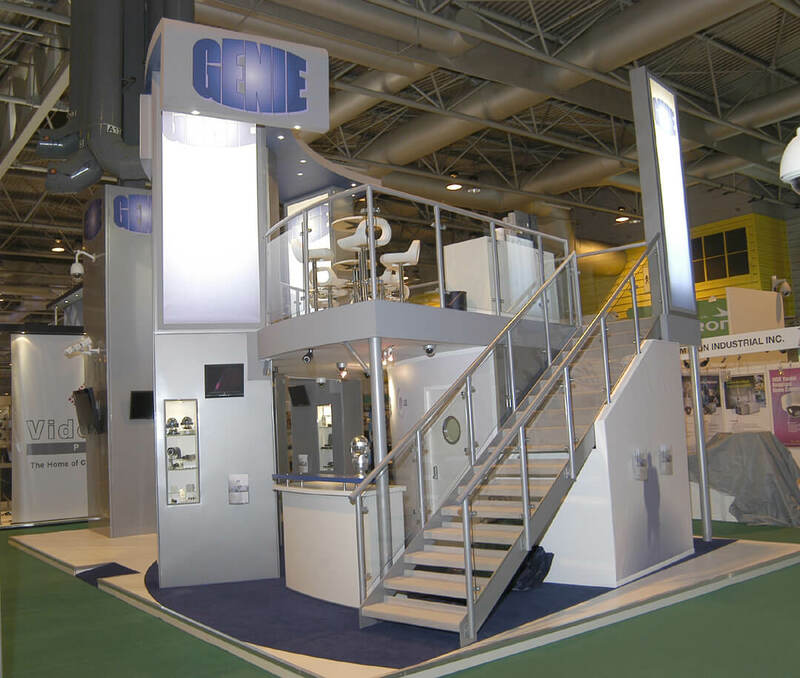 This sleek stand with its imposing towers and integral light boxes at 6metres high allowed the projection of powerful Genie branding across the halls. The minimal colour palette re-enforced the perception of Genie as a high-tech company emerging as a major player within their sector. Clever use of cameras and recording equipment allowed delegates to ‘experience’ the whole stand from the ground floor, and those invited upstairs for private discussions could view activity on and all around Genie’s site.